A rare and extraordinary large antique engraving of the Monestary of Camaldolesi (Eremo dei Camaldolesi - Camaldolese Hermitage) near Lanzo Torinese. 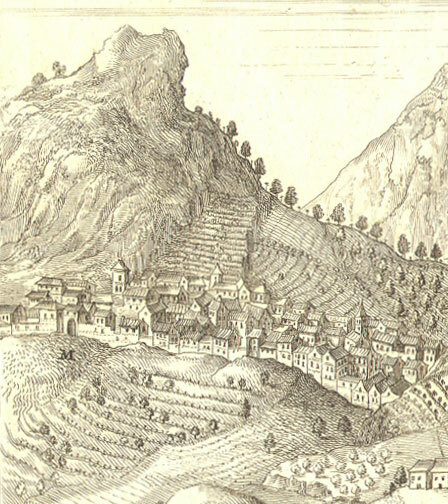 The town of Lanzo can be seen on the hillside on the left of the engraving (detail third photo). 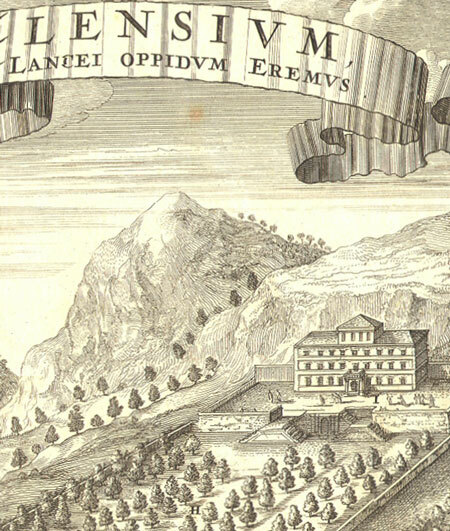 The first edition of this work was published in Amsterdam by Blaeu in 1682. Additional editions appeared up until 1726. We have not been able to determine specifically which edition this engraving is from. 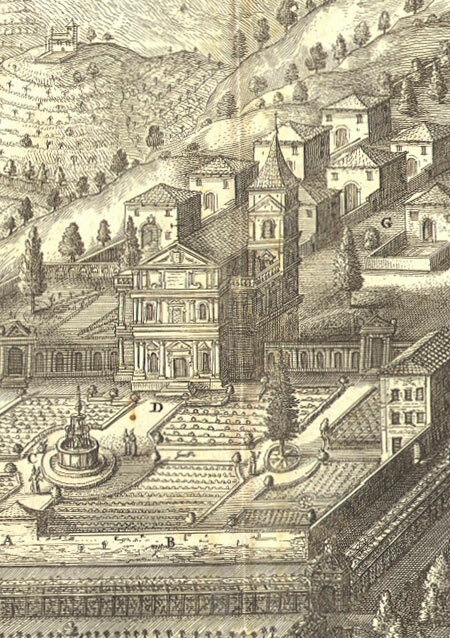 The Book was illustrated with 142 large scale engraved plates in double or triple folio format, illustraing the richness of the landscape and architecture in the Piedmont and Savoy regions. 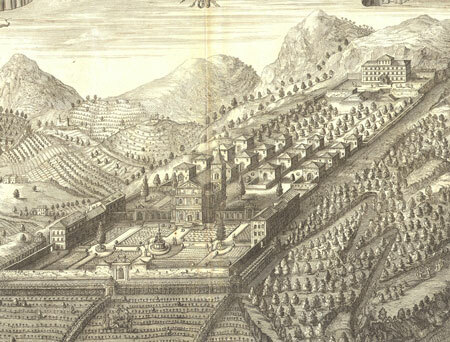 At the time, the palaces, cities and towns of Piedmont were not well known, and Blaeu's work was a way of introducing the rest of Europe to Piedmont's glories. 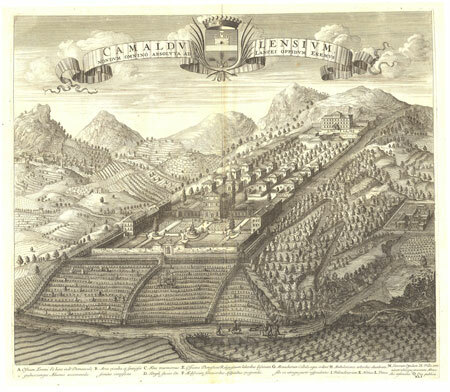 Camaldolese monks are a branch of the Benedictine order tracing their origins to 6th century monastic traditions. The order practices contemplative solitude, work and prayer within their monestaries. Today Camaldolese orders can be found in many places around the world, from Tanzania and Brazil to Big Sur, California.